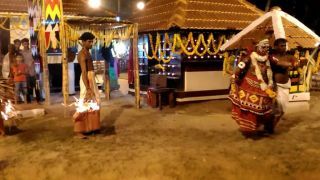 Dedicated to Lord Shiva (Kiratha form) and Parvathy, the annual festival of Kuniyilkavu Sree Kiratha Shiva- Parvathy Temple falls in the Malayalam month of Medam (April-May). This three day annual festival witnesses the ritual of Vellattu. 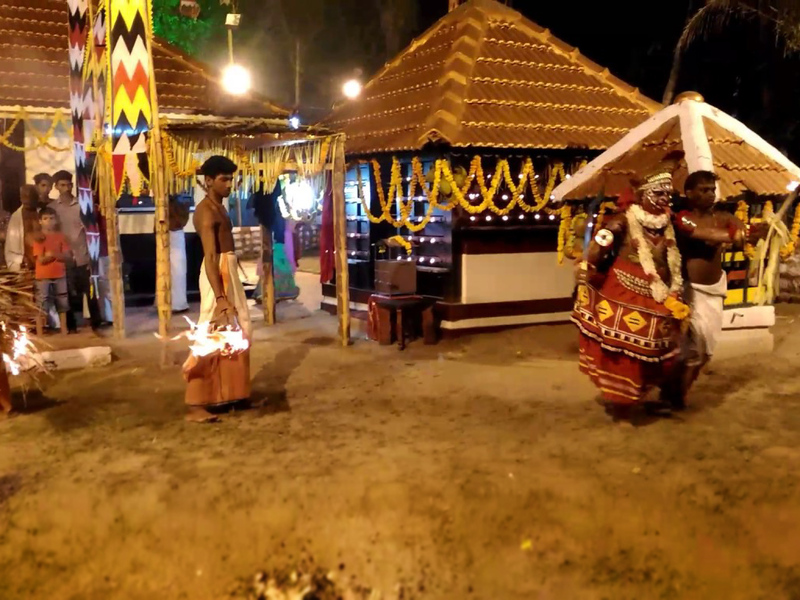 Vellattu is ritual art form held in the temples of Malabar region. On the first day the Vellattu of Kariyathan, Pamboori Karuvol and Nagakkali Vellattu will happens. Once the Vellattu is over there will be Thira performance and Nagathalappoli takes place. On the second day, the vellattu of Kariyathan, Pamboori Karuvol, Neetil Karuvol, Bhagavathi Thira and Karivilli takes place. Finally the day’s events end with Thalappoli. Thira will be held on the final day. In the Malayalam month of Medam (April-May).